A. Simultaneously supply 24V loop and measure current. B. Built-in 250 ? HART loop resistor for easy access to HART communication devices without the need to carry load resistors separately. A. 4~20mA current setting by bit, manual step output function. B. SIMULATE function simulates the transmitter. C. Can be displayed in mA and percentage. D. The output accuracy is 0.2%, and the output is displayed as 5 bits. 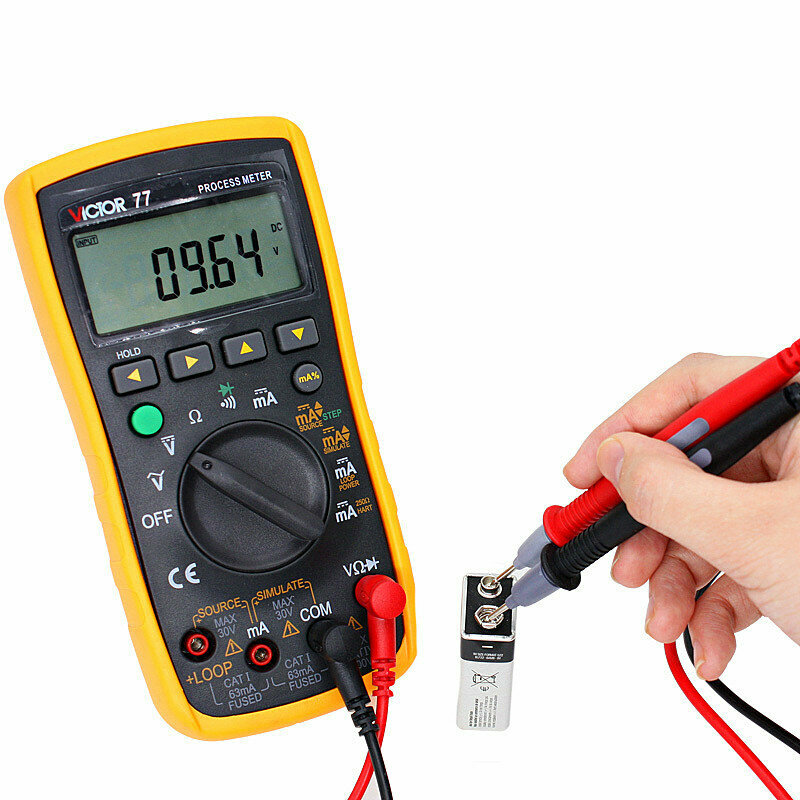 A. AC voltage, DC voltage, ohmic, DC current, on and off, diode. B. The measurement accuracy is 0.5%, and the current measurement is displayed as 5 bits, which is displayed as 4 bits. D. Can be displayed in mA and percentage. 5. Use panel calibration technology. DC current output (SOURCE)20mA(1000Ω load):about 2.5 hours. Automatic power-off:The default value is 5 mins if no operation which is adjustable. • short-circuit current: about 0.1mA.